Beginning Holy Thursday March 29th, we conducted a mission discernment retreat for men and women contemplating becoming priests, brothers, lay missioners and short term volunteers. There were 20 in attendance including three Maryknoll seminarians and four men interested in becoming priests and brothers. These men came from across the country – California, Colorado, Louisiana and Minnesota. 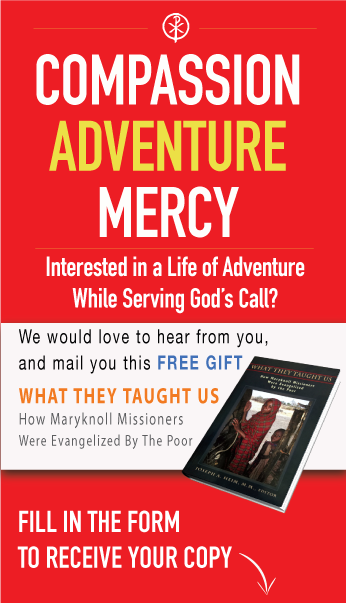 Talks and discussions about these missionary vocations were accompanied by moments of prayer and the liturgical celebrations of the Sacred Triduum. The retreat ended with the Easter Vigil Mass on Holy Saturday night followed by a morning Mass on Easter Sunday. The next vocation retreat will take place at our Initial Formation Residence in the Hyde Park section of Chicago sometime in October. The final dates are still to be determined. Contact Fr. Mike Snyder at msnyder@maryknoll.org for further information!